Approximately 10″x10″ mixed media quilted wall hangings, complete with wooden hanger on back. Little 4″x4: chunky canvas house villages! put some nonstop hilarity on your chest! It’s First Friday again, kids! As I was rushing around the house, getting ready to leave so I could open the gallery on time, I was struggling with making order forms for tonight. I was so aggravated and SO behind schedule that I vowed I am never leaving my own stuff till last minute ever again. And I mean it this time! Every month, when Fort Collins First Friday Gallery Walk visitors come into my studio, my painting “Nonstop Hilarity” is the one that makes people smile the most. At the urging of my husband, I printed it on a t-shirt and it looks awesome! It’s available now on my Zazzle shop if you’re interested. The image is also available on blank cards. Tonight, during Gallery Walk, I’ll be taking orders for t-shirts, modeled by yours truly. 😎 If UPS comes in time, I’ll also have cards on hand to sell. I’m really excited about this, so stop by if you’re in Fort Collins. 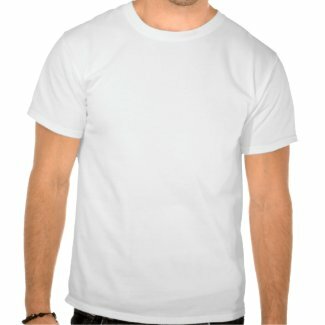 If you’re not in the area, you can pop over to the Zazzle shop and order your very own Nonstop Hilarity t-shirt! I have other news and musings, about things like fracturing and/or spraining my ankle and watching a documentary about Henry Darger and the state of network tv and how intensely I feel what little humidity we get in Colorado now and then. But it will all have to wait for another day. I’m off to get the studio ready for guests tonight! If you’re in town, drop by! Posted on June 4, 2010 November 3, 2010 Categories art and life, art for sale, encouragement2 Comments on put some nonstop hilarity on your chest! a little bit of art on sale now! There hasn’t been much time for anything lately, but I did manage to completely finish my online store. If you haven’t checked it out and might be in the market for some handmade gifts or goodies for yourself, please do check it out. Free shipping on all orders over $10! I’m also taking 10% off all orders now through Pi Day (that’s March 14 for you non-geeks)…just use the coupon code grandopen. Posted on March 4, 2008 December 19, 2014 Categories art and life, art for sale2 Comments on a little bit of art on sale now!